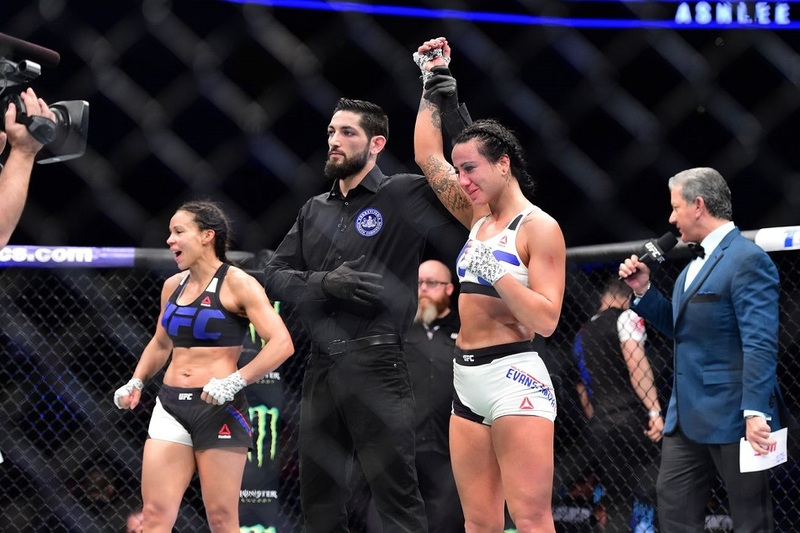 MyMMANews sponsored fighter, Ashlee Evans-Smith took home her first UFC win last weekend at UFC Fight Night 83 against Marion Reneau via split decision in the headlining UFC Fight Pass portion of the show. The fight took place in Pittsburgh, Pennsylvania on Feb. 21, 2016. It was her first trip back to the octagon since a December 2014 loss to Raquel Pennington. 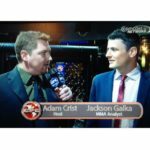 Ashlee joined MyMMANews reporter, Adam Crist as they discussed her recent and well deserved win over Reneau after a long layoff. Tune in as Ashlee discusses her thoughts after winning the split decision over Reneau, Tattoos, Punk rock shows and much more!